Help Anna follow an ancient map and conquer the obstacles in her way to find the lost treasures of ancient Atlantis! As a young and ambitious archaeologist, Anna discovers a fragment of a mysterious map leading to the underwater kingdom. Dive into Atlantis: Mysteries of Ancient Inventions, and scour awesome Hidden Object scenes to discover secrets that have been protected for centuries. 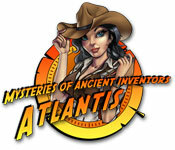 Atlantis: Mysteries of Ancient Inventors is rated 2.5 out of 5 by 15. Rated 4 out of 5 by jmcbeauty from An Old Fashioned Hidden Game and Puzzles It's not a bad game for introducing someone to the original concept of hidden object and puzzle game with achievements. 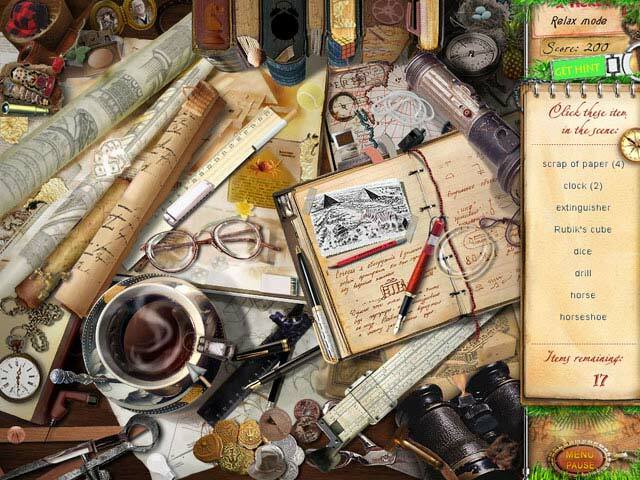 There is very little storyline, lots and lots of hidden object scenes (every scene), mini puzzles, etc. Some of the objects are very small and require a lot of looking for. The mini puzzles consist of matching scenes, word searches, deciphering words, etc. The game is one that you can play for a while, but then need a break before going back to it as it can become boring. It's not a bad little game and I recommend it for beginners getting their feet wet. Rated 4 out of 5 by rainbowspromise2 from Hidden Object Game that you can relax doing. The cons of this game is the objects can be small, not of reality size. But I still found it relaxing and entertaining. The graphics were good and the rooms creative; old fashioned and pretty. (I'd live there. lol) It received bad revues and some were okay with it. So play the trial and decide for yourself before you buy. I bought it after the trial. I would recommend this game. Rated 4 out of 5 by tilmalene from Entertaining Storyline ocay, grafic cartoon'a'like. Rated 3 out of 5 by pennmom36 from Get Out The Magnifying Glass I really don't like hidden object games where items are so tiny that the item becomes unrecognizable and there are many hidden objects that fit that description in this game. Anna has discovered an ancient map which shows where the people of Atlantis hid a cache of books and artifacts before sinking into oblivion. Before she leaves she has to pack unnecessary items strewn about her room as well as 25 compasses. Then she has to find 25 keys Gramps threw all over his room and tidy up his mess as well before heading off to Rome to help the librarian clean up her mess. Each scene has a couple of hidden compasses to find for extra hints and points. You can play in a timed or relaxed mode and there are ranks such as explorer and you can earn achievements too. The HOS are a mixture of list finds, find a certain amount of one kind, and find the items that match the silhouetted shape. 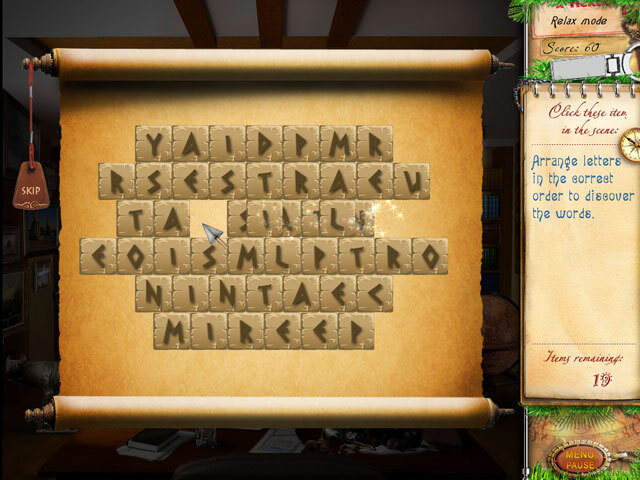 There are mini games such as swapping puzzle tiles to complete a picture or word searches. If you don't mind small items, then this is your game to enjoy! Rated 3 out of 5 by putteringpossum from Kind Of A Waste This was really a waste of a game credit. The game is short and repetitive. Rated 2 out of 5 by bep1 from Older Style Game My elderly mother and I just finished this game and were glad it was over. 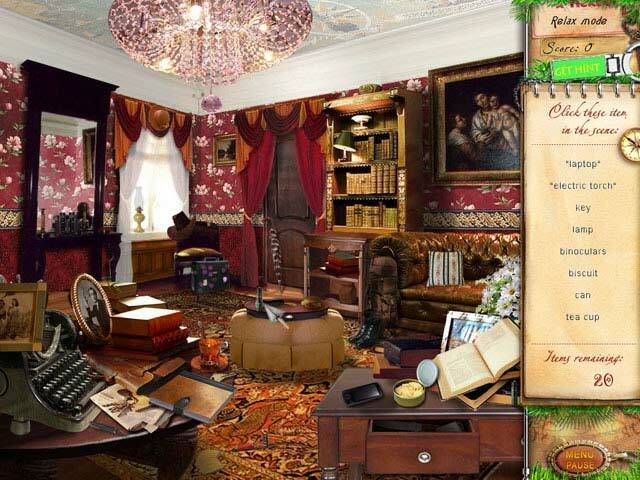 There were numerous hidden object scenes that were repeated with the same objects. Many of the objects were extremely tiny or the same color as the background, being almost impossible to find. It looks older style and not done well even for that type. It was boring and tedious, and the minigames were tedious, too, so we ended up skipping most of them. It just is not a good game. Sorry. Rated 2 out of 5 by tonbogale from Not an Adventure I did not enjoy this game, didn't finish the trial. The dialog font was bad. There were no hints for the rearrange the text puzzle. Several flashlight/in the dark HO scenes in a row. But most annoying was the girl herself. Preteen attitude, and people talk to her like she's a little girl, when she should be an adult. For me part of the fun is the storyline which wasn't very well developed. Rated 2 out of 5 by fei1jao from Awful game In the trial I couldnt get beyond the first scene. I could not figure out what to do with the flashlight. The hint doesnt help one bit. I did check in the forums and the suggestion there I tried to use but couldnt find that little thing that was supposed to look like a battery. . It has been offered at 2.99 and wouldnt spend that, or even get it if is was FREE. Perhaps in the near future someone will come up with a walkthrough to explain it further.